To avoid the mistake I made, make sure you pop the small, square white plug towards the bottom left on the front of the dryer. This gives you a view into the heater so you can see if the igniter and other components are working. In our case, the heater would ignite and stay on for 5 minutes and then go out. As noted on this site, 50% of the time it is the gas coils so we tested them and they tested fine cold. However, testing all of the other electrical components and they tested out as well so we purchased the coil kit (again 50%). Following one of the many videos on the site, it was quite simple to get to the coils. Unplug and turn off the gas at the wall. Unscrew the two screws in the lint trap and pop up the lid with small flat screwdriver as there is a catch on each side under the lip in the front. With the top lid up, pull up and out on the front panel, the drum will stay in place but dip as you remove the front panel holding the drum in place. Reach under and to the right to remove the belt around the drum so you can remove the drum. 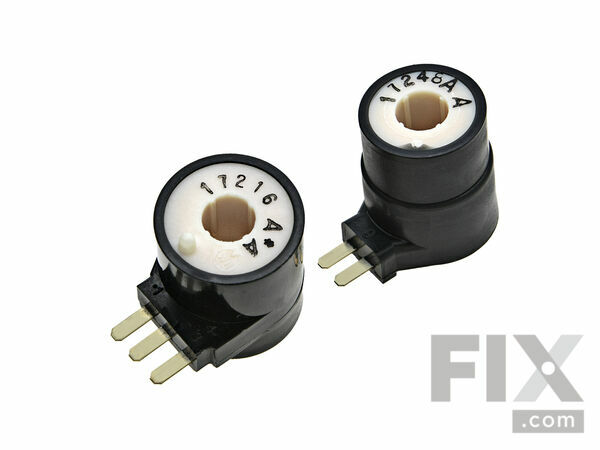 The coils are right in front and are easily removed with a phillips screwdriver to remove the cap holding the coils. The coils are keyed and just slide out and into place. Replace the cap and reverse the steps. However, while you have the dryer apart, it is a good idea to remove all of the extra lint as we also did the same removing the back panel and the lint trap apparatus. We had quite the collection of lint and stuff in the blower that could never be removed without taking this apart so I highly suggest you take a look. It is about 10 phillips screws holding everything in place. With the coils in place, the dryer starts hot and stays hot. Repaired in under an hour and under $25 thanks to this site! My dryer would heat up for a few minutes and then quite. Step 2. Removed 4 screws from inside door area. Step 5.Removed 2 screws from bracket holding coil valves in place. All went well and reversed remaining steps to put back together! Un plugged electrical cord. Shut gas disconnected gas. Pulled front off. Stubby cross tip, 2 screws. Bink disconnected coils put new one in.reverse order install. REMOVE LINT FILTER. 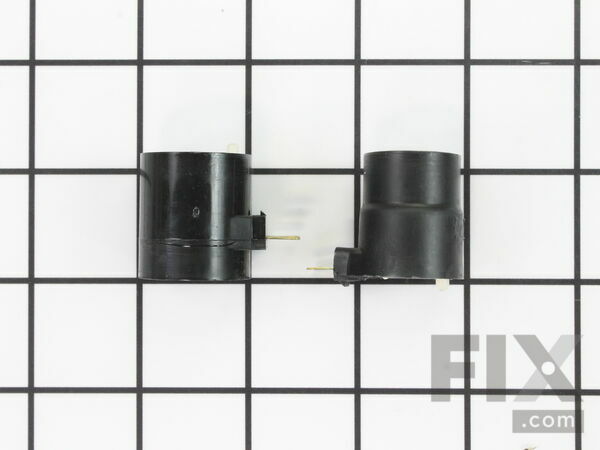 REMOVE 2 SCREWS ON FILTER HOLDER.REMOVE 2 BOLTS ON TOP OF FRONT AND REMOVE FRONT. REMOVE 2 SCREWS HOLDING COILS IN, AND REPLACE COILS WITH NEW COILS. REVERSE PROJECT. BE SURE YOU REMOVED POWER AND GAS BEFORE STARTING. TURN POWER AND GASON,AND TRY DRYER. PRETTY EASY INSTALLATION. COILS ARE ON LEFT SIDE IN THE FRONT OF MY DRYER, ON GAS VALVE. Our Whirlpool dryer had stopped beating. I initially thought to replace the heater element, however the website gave me a list of the possible issues, with the probability ratings conveniently listed next to the part numbers. Not knowing exactly which part was needed I decided to replace all three just to be on the safe side. The parts arrived quickly (about five days) and the installation was easy and straightforward. Total cost for this project was about $50 bucks, which sure beats buying a brand new dryer. Took off back panel of dryer and be removed old thermostat and thermal fuse. Replaced with the new one and wired up by transferring one wire at a time. Took apart top and front of dryer to get to coil valve. Replaced with new ones. Repair person would have posted 150 to diagnose and additional 50 per part got all three parts shipped for 50 so did it myself and saved at least 250. The coil kit was malfunctioning. Difficult to fully diagnosis as the problem. The coil kit showed the correct numbers and it worked intermittently. However, when replaced everything worked OK. I also replaced the igniter, however, I do not believed it was a problem. However, I left in the new igniter. Unplug power and turned off gas. unsnapped top of dryer so it rotated up and back. Secured so it won't fall down. Unscrewed 2 screws on front panel. one on each side. Lifted front panel up and off of drum. take picture of drum belt path thru rollers and motor drive pulley. noted before removing wire connections, note the position of the 2 wire and 3 wire solenoids. Removed 2 screws that held solenoids in place. 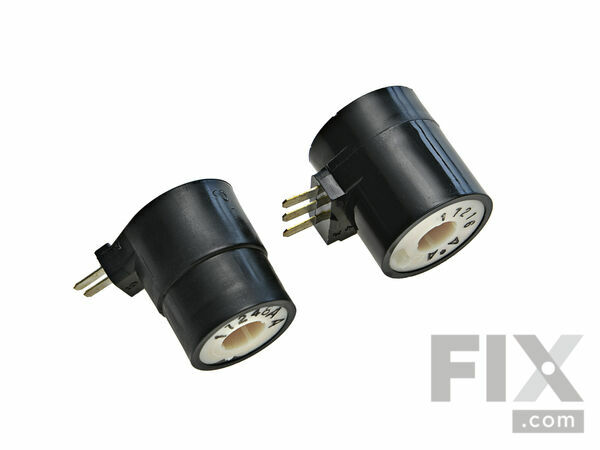 Remove solenoids by slipping them up. Check rollers in back of dryer to see if they roll freely. Clean and lube if needed. Test by viewing flame cycle on and off through peep hole in front of dryer.